Happy March! Enjoy these incentives this week. Drive worry free: Up to 1.3x for all GrabShare trips! From Monday to Sunday, enjoy fares at 1.3x for unmatched GrabShare trip and at 1.1x for matched GrabShare trips. 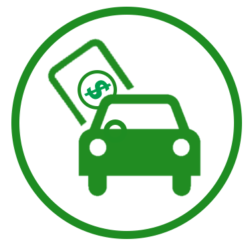 You’re also guaranteed at minimum fare of $5 for each ride! 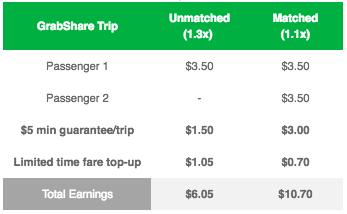 This incentive applies to all GrabShare trips only. 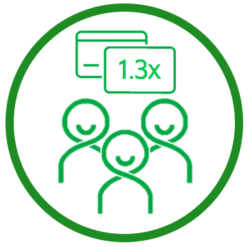 You will receive 1.3x of the fare for an unmatched GrabShare trip and 1.1x of the fare for matched GrabShare trip. 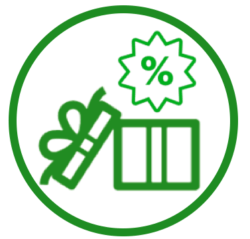 Here’s a treat: our new Driver for Driver Benefits (DFDB) features discounts and special promotions by fellow GrabCar drivers, exclusively for you! Take advantage of 60 deals, from car-related services to F&B and shopping deals. Simply follow the redemption instructions to enjoy savings! The list will be refreshed regularly, so keep watch on our DFDB page to make sure you get the latest deals. We’ve heard you! You won’t be receiving a 2nd GrabShare booking if you’re on the expressway. 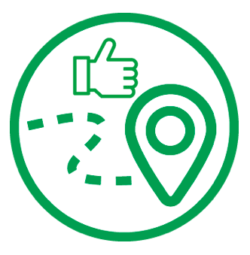 No need to worry about weird detours so keep the AVAILABLE FOR JOBS button on! We’ve revamped the History tab for Android 5.10 driver-partners, allowing you to track your earnings in App! Read more about it here.